EDGECAM Strategy Manager can be used to automate any EDGECAM machining application. At the core of EDGECAM Strategy Manager is an easy to use, graphical flow charting tool for building flexible strategies for machining solid models. EDGECAM Strategy Manager does not impose rules or working methods, instead it allows you to utilize the knowledge of your top programmers with every part you need to machine. The process is entirely graphical and no knowledge of high level programming languages is required. 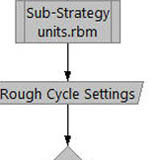 Reduce Programming Time EDGECAM Strategy Manager captures your manufacturing knowledge in a simple flow chart format to define rules governing how a part will be machined. 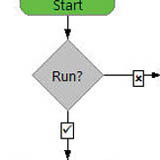 With a few simple steps you can reduce programming time, and create consistent repeatable G code.